*Confirm events prior to attending, schedules are subject to change! 1st reply = 1st attend! 9:00am – Sign-in, coffee, social peer time. 9:30am- NEPGMIA Association Meeting. 10:00am – VIEGA Training, Inspector Session #I-34-A continuing education PEX seminar and related information including Viega facility tour. 11:45am – Association lunch and industry discussion. Join NEPGMIA for $30.00 or renew your dues and save money! Please RSVP by Tuesday March 12th to guarantee a seat, space is limited to the first thirty (30) who rsvp. or call Peter at 909-996-5689. Attention, looking for inspectors to get more involved with the Board of Directors and be part of the administration of the Association! New people are needed to get involved to continue the success of any organization, please consider getting more involved, your ideas and input are important! 2019 Association Membership fees are due, payable at the annual meeting. Contact a NEPGMIA officer or visit our website at www.nepgmia.com for information. 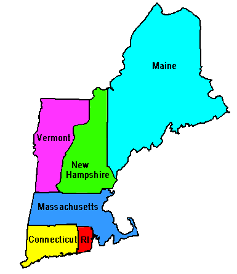 Massachusetts, New Hampshire, Maine, Vermont, Connecticut, and Rhode Island. The organization is devoted to the development and acceptances of uniform regulations and the overall betterment of the industry. Inspectors enforce these rules and regulations, State Laws, and codes in the interest of public safety. Informative guest speakers are provided to further educate our members and members are kept up to date on new code revisions, proposed legislation, and new technologies on the market. Association meetings are held in various locations throughout the year, usually with a seminar included at a nominal cost with refreshments served. Please contact a NEPGMIA officer or visit our website at www.nepgmia.com for information.